With their new global headquarters in Tower 3 of the Barangaroo South Precinct, Lendlease is providing a leading example of excellence, innovation and social benefit in a building that is commercially viable from day one. Fredon Technology proposed a unique solution to Lendlease and their technology division, which is structured aound the use of the SVSi networked digital media and switching solution which utilises industry standard IP networking to deliver the most scalable and flexible solution for the client. A highlight of this project is the BIM Immersion Room, which allows virtual and augmented reality enabled client engagements, demonstrating Lendlease’s commitment to innovation in the construction sector. This project commenced in January 2016 and was completed in December 2016. In addition to the Lendlease headquarters, Fredon delivered electrical, data, HVAC, security and technology services to other projects and buildings in the Barangaroo precinct. 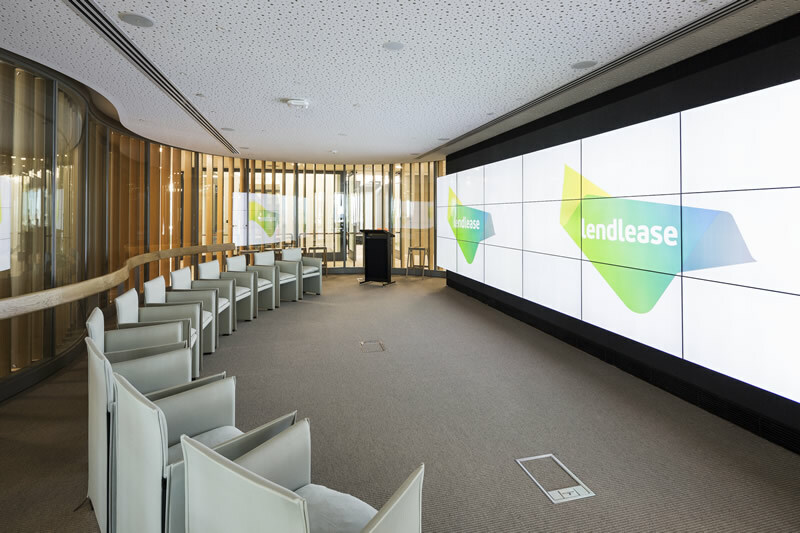 Take a look at how Lendlease are utilising dynamic, flexible audio visual technology to create world class, collaborative work spaces at their new Barangaroo headquarters.